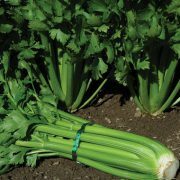 The Tall Utah 52-70 celery is a very dependable celery variety for home gardens! Tall Utah 52-70 is a fresh celery is so much tastier than store bought. This celery has dark green stalks and a very compact habit. 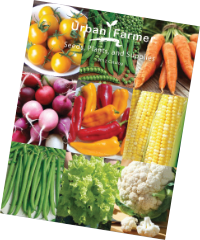 Start seeds when weather has warmed so crop matures in fall. Celery tastes better grown from the garden, but to grow celery requires patience and skill. Celery is a low-calorie, high-nutrient vegetable used for its seeds, stalks and leaves. The vegetable is most often used as a garnish or a healthy snack. Before Planting: Celery seeds are very small and difficult to plant. To aid in planting, mix the seeds with a little bit of sand and then sprinkle the mixture over soil. Planting: Sow 10–12 weeks before transplanting outdoors. Sow 2-3 seeds per cell, ⅛” deep. Keep soil moist and temperatures 70°F if possible. Seedlings emerge in 2–3 weeks and then temperature can be reduced to 60°F. Do not harden off celery plants by lowering temperatures! Give more sunlight and wind conditions slowly over 7-10 days until ready for outdoor conditions. Do not expose to weather below 50°F.Transplant 10-12 week seedlings outdoors when weather is warm and settled (late spring). Set plants 6–8″ apart in rows 24–36″ apart. Irrigate to keep soil moist. Watering: Make sure celery is planted in the lowest area of the garden, as it requires lots of water.Do not let the soil dry out, indoors or out. Celery needs constant supply of water to give best flavor and yield. plants to help retain moisture. 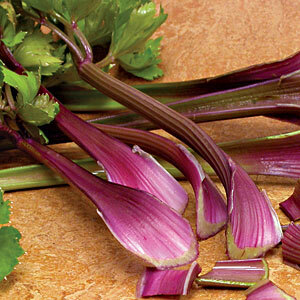 Sometimes, celery stalks will split if they do not receive enough moisture. Days to Maturity: Celery can take up to 140 days before it is ready to harvest. Harvesting: Cut stalks when desired size. 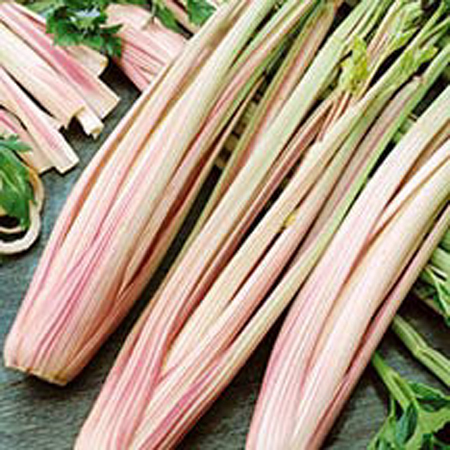 Stalks may be blanched if desired by hilling up with soil or by placing paper collars around plants. Harvest in morning when heat is at a minimum. May be dunked in cold water to bring temperature down if harvested in warm temperatures. Store roots at 32°F with 98–100% relative humidity. Celery will store for 1–2 months. We suggest blanching for best eating quality celery. Tips: In rare instances contact with the foliage can result in a severe rash. When working with this crop on hot, sunny days, we recommend wearing long sleeves and long pants and washing any exposed skin surfaces as soon as possible after contact.